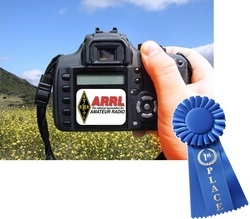 + Enter the Seventh Annual ARRL Photo Contest! A devastating storm system moved across the United States on March 2, spawning a slew of tornadoes that contributed to at least 28 fatalities in Indiana, Kentucky and Ohio. These tornadoes followed an earlier outbreak that began on February 28 and left 13 dead across Kansas, Missouri, Illinois and Tennessee and battered parts of Kentucky. The Clark County (Indiana) Emergency Management Agency activated the local RACES team to help provide communications support, hams in Eastern Kentucky set up SKYWARN nets to assist the local National Weather Service office and Cincinnati-area hams supported the National Weather Service and the American Red Cross. Read more here. On March 5, radio amateurs were granted new privileges on the 60 meter band. 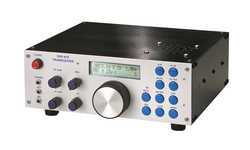 The effective radiated power level was increased from 50 to 100 W, along with the ability to use CW and the digital modes PACTOR III and PSK31. "The word 'carrier' in this context means the suppressed carrier frequency of a transceiver when operated in the USB mode, but some have taken it to mean the PSK31 signal itself," Henderson noted. "They read this text and come to the conclusion that the PSK31 signal should be 1.5 kHz below the channel center. They are mistaken. The PSK31 signal must be in the center of the channel." Read more here. 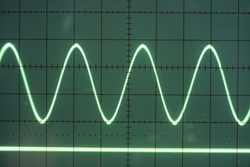 The Frequency Measuring Test (FMT) continues its successful "round-table" format when it takes to the airwaves on the evening of April 19 (April 20 UTC). The test moves to Thursday from the November FMT's usual Wednesday evening, giving everyone an opportunity to participate. Recognizing the higher solar flux, the FMT will lead off with a 20 meter segment -- one transmission beaming east, and the other west from Connie Marshall, K5CM, in Oklahoma -- with both transmissions on the same frequency. The sponsors are particularly interested in your comments on frequency differences observed between the directions due to propagation-related effects. Read more here. The previous ARRL Homebrew Challenges have been to build a 5 W PEP 40 meter sideband and CW transceiver (Homebrew Challenge I) and then a 50 W linear amplifier to follow it (Homebrew Challenge II). This third challenge moved up the spectrum into frequencies that might be of interest to Technician class amateurs -- 10 and 6 meters. The winner of the ARRL's Homebrew Challenge III: A compact competent transceiver that covers 12, 10 and 6 meters, designed and built by Jim Veatch, WA2EUJ. There were two separate entry categories for this challenge: single band or multiband. The single band unit could have been for either 10 or 6 meters and had to output 25 W PEP on SSB and CW, with a cost target of $150. The multiband unit had to put out the same power on both bands and be built for under $200 of parts. Each entry category had detailed requirements for receiver and transmitter performance. The FCC requirements for transmitter spurious response of -43 dB on 10 meters -- and particularly the -60 dB on 6 meters -- were expected to be tough. The first category had a prize of $200, while the second offered $300. While we heard from others who expected to participate, two entrants brought or sent us working transceivers by the November 1, 2011 deadline. Read more here. 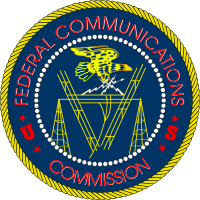 On March 15, the FCC issued an Order Proposing Modification, seeking to change the license class of Todd Wilson, WH6DWF, of Honolulu, Hawaii, from General to Technician. The FCC stated that granting General class Amateur Radio operator privileges to Wilson was "improper." In November 2011, the ARRL VEC sent an electronic data file to the FCC, requesting that the FCC issue Wilson a new General class license. Based on this application, the FCC granted Wilson a General class license on November 29, 2011. In January 2012, the ARRL VEC notified the FCC that Wilson's information was incorrect and he did not qualify for a General class license; the ARRL VEC asked the FCC to modify Wilson's license to show him to hold a Technician class license. Read more here. With the switch from Standard Time to Daylight Saving Time, W1AW Station Manager Joe Carcia, NJ1Q, has updated the W1AW operating schedule to reflect the change. Your local standard times have not changed, but the UTC times they reference have. Read more here. A few months ago, the ARRL UHF/Microwave Band Plan Committee asked the Amateur Radio community about current, planned and projected uses of the amateur bands between 902 MHz and 3.5 GHz. The response was beyond our expectations, with hundreds of comments and suggestions received. Thanks to all of you who took the time to share information with us. After reading the feedback, the committee began working on the band plans; the first draft plan ready for review is for the 9 cm band (3300-3500 MHz). Read more here. 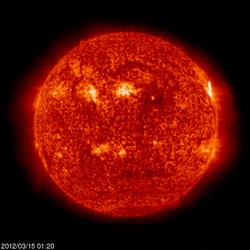 The Sun, as seen on Thursday, March 15, 2012 from NASA's SOHO Extreme Ultraviolet Imaging Telescope. This image was taken at 304 Angstrom; the bright material is at 60,000 to 80,000 Kelvin. Tad "Waiting for the Sun" Cook, K7RA, reports: The average daily sunspot numbers over the past reporting week (March 8-14) were 88.3, a rise of nearly 19 points; the average daily solar flux rose more than 12 points to 134.2. Three new sunspots emerged. The first was sunspot group 1421 on March 9, which began with a relative area of 90. In the days following, it went to 80, 50, 80, 70 and 60. Two more sunspot groups -- numbered 1433 and 1434 -- appeared on March 11, with a combined relative area (in millionths of a solar hemisphere) of 240, then 130, 140 and 150. The sunspot number peaked on March 11 at 103, and the solar flux on March 10 at 148.9 and again on March 13 at 140.7. The outlook for the next few days has solar flux at 115 on March 15, 110 on March 16, 105 on March 17-21, 110 on March 22-23, and back down to 105 on March 24-27. There was a great deal of geomagnetic activity on March 9, with a planetary A index at 68, and again on March 12 with planetary A index of 28. An M-class x-ray flare occurred on March 15 at 0752 UTC, and if you catch it soon enough, you can see the resulting x-ray flux on the GOES monitor. The predicted planetary A index for March 15-18 are 15, 20, 15 and 8, and then 5 for March 19-27. The vernal equinox will occur at 0514 UTC on March 20. The shift to spring generally means favorable conditions for HF propagation. Look for more information on the ARRL website on Friday, March 16. For more information concerning radio propagation, visit the ARRL Technical Information Service Propagation page. This week's "Tad Cookism" is brought to you by Simon and Garfunkels's Old Friends/Bookends. Some ARRL members with arrl.net e-mail accounts have recently received bogus e-mails, notifying them of a bill that supposedly needs to be paid. The e-mail instructs the reader to click on a link to view the bill; clicking on the link could release a virus that can infect your computer. Please be aware that these e-mails are not coming from the ARRL. "If you receive an e-mail like this and it looks like it originated from ARRL, please do not respond," explained ARRL IT Manager Michael Keane, K1MK. "The best thing you can do when receiving bogus e-mails is to simply add them to the spam list in your computer's e-mail program and delete it. Please don't forward it to ARRL HQ -- we will have already seen it and are already responding to it." Have you ever wanted to see a photo of yours in QST, the annual ARRL Amateur Radio Calendar or another ARRL publication? Well, here's your chance! If you're among the winners, not only will your photographic skill be propagated far and wide, but we're offering $100 as the First Prize. The winning photo and three runners-up will be published in QST. All submitted photos will also be considered for the 2013 ARRL Calendar. Read more here.